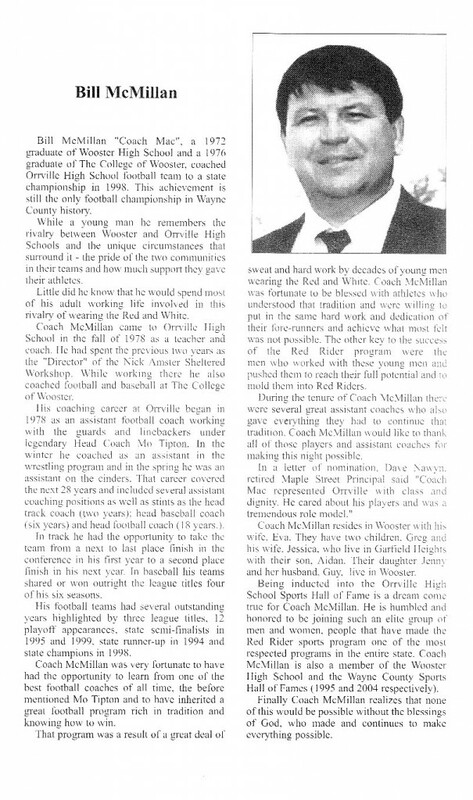 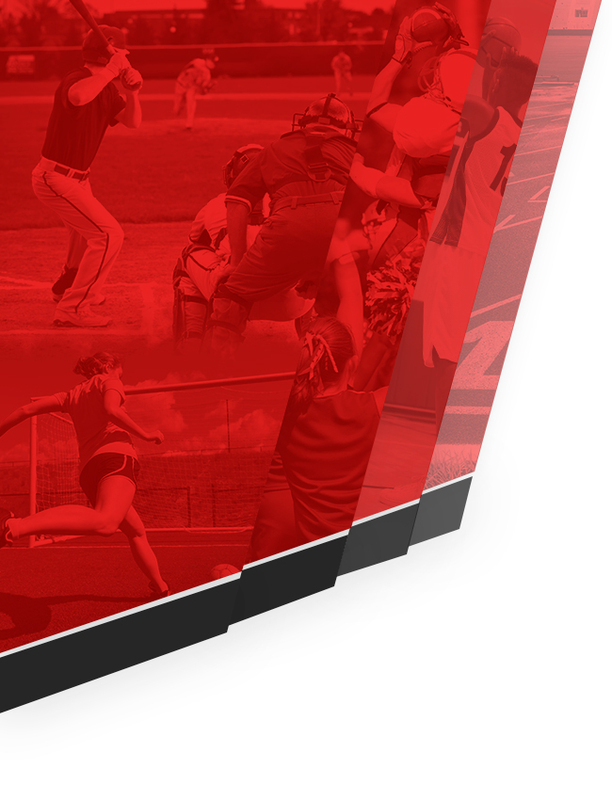 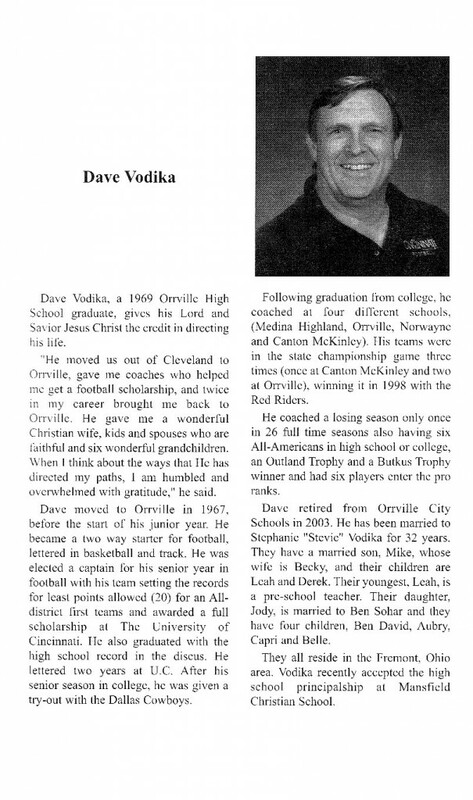 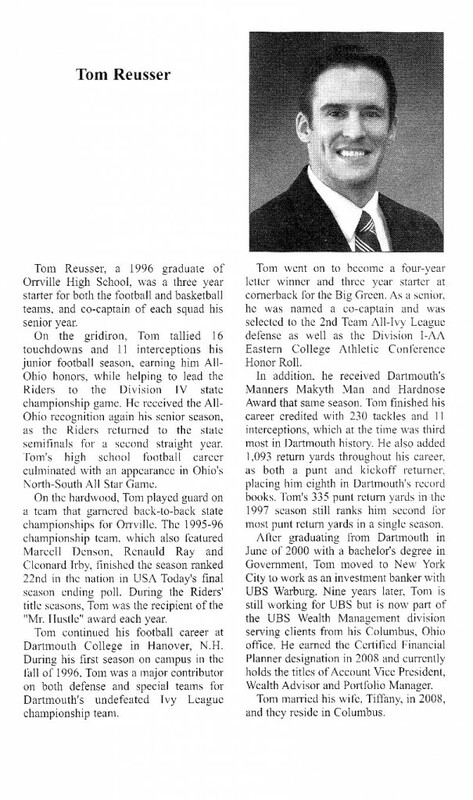 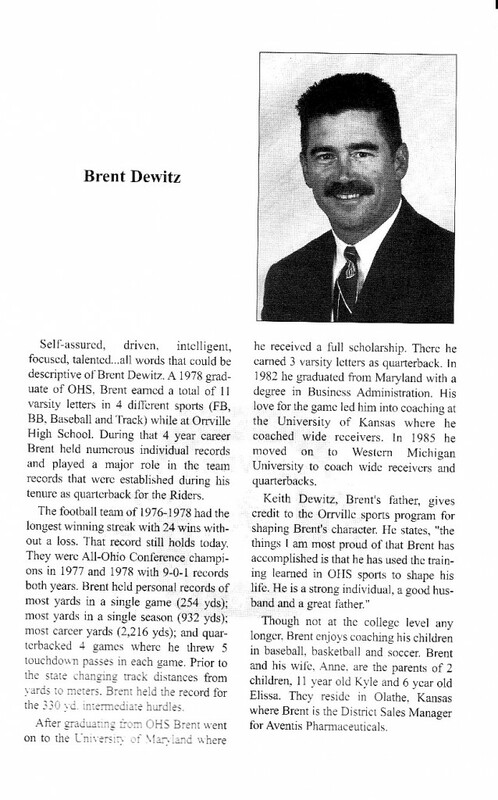 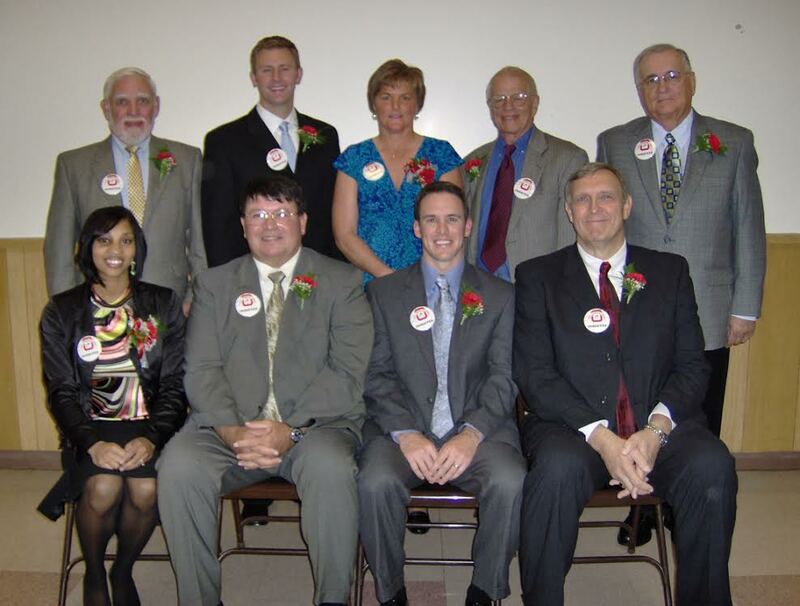 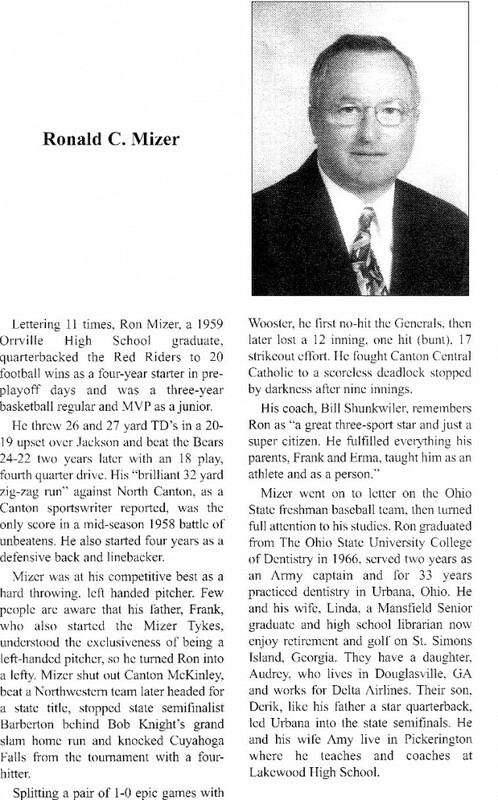 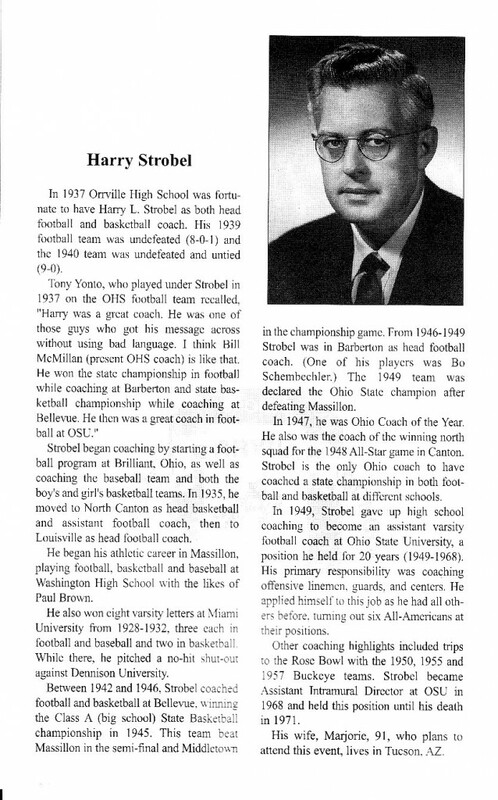 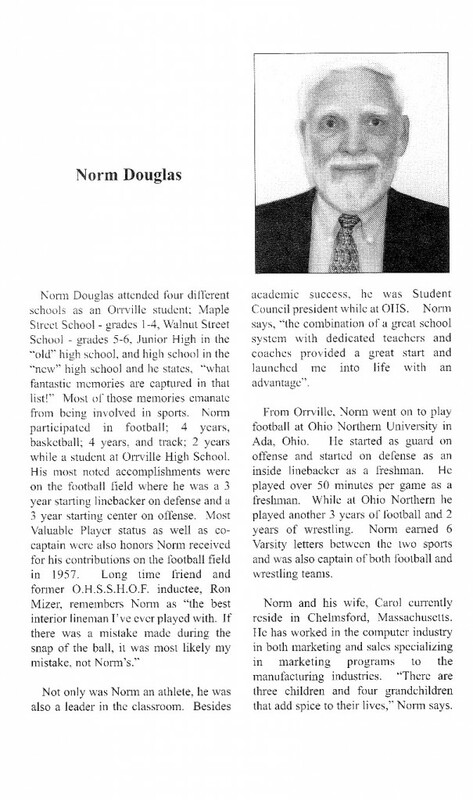 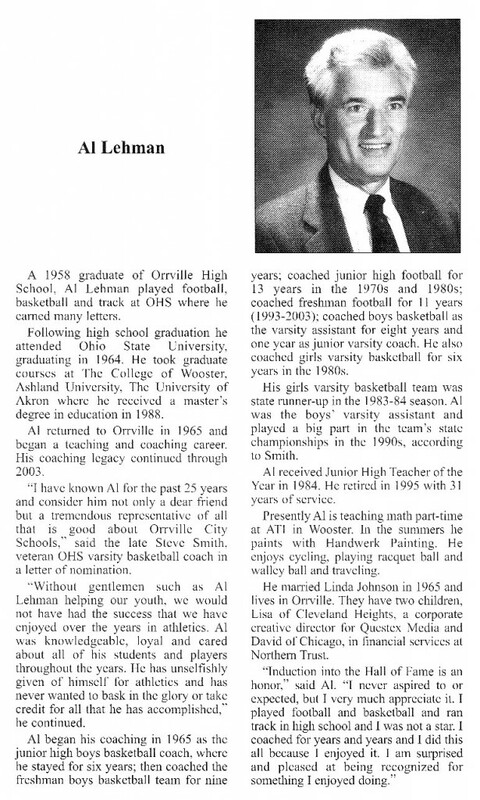 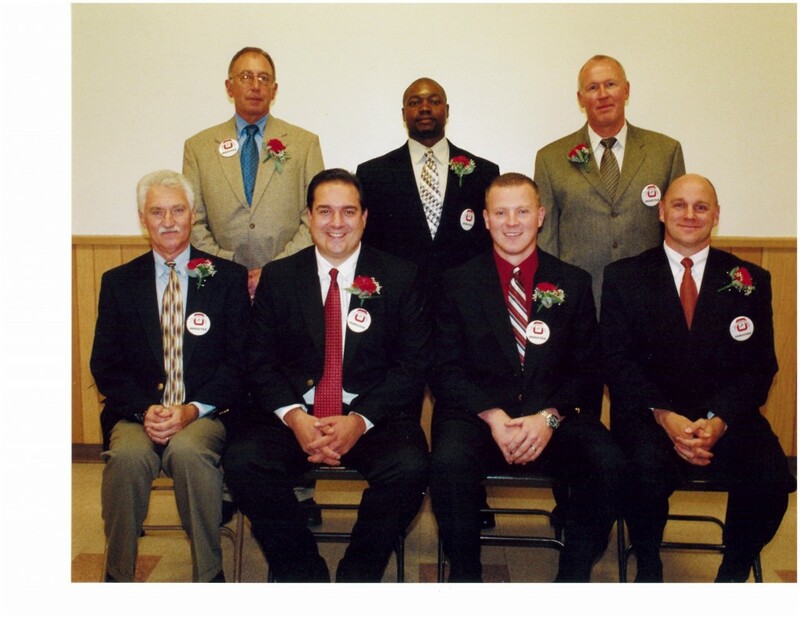 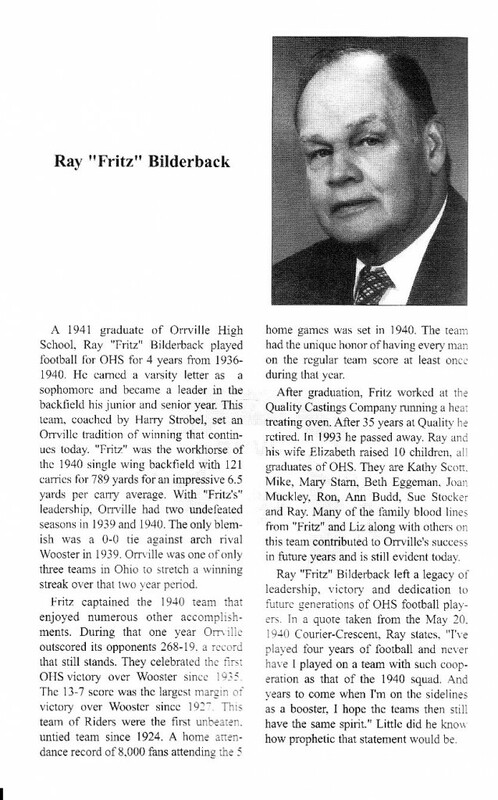 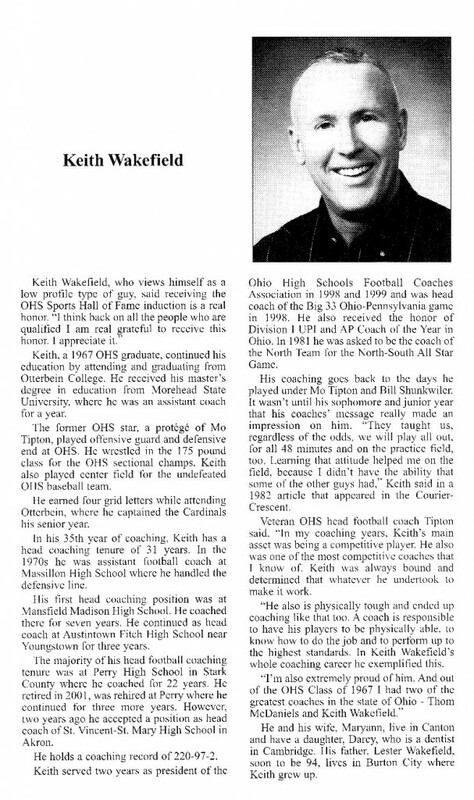 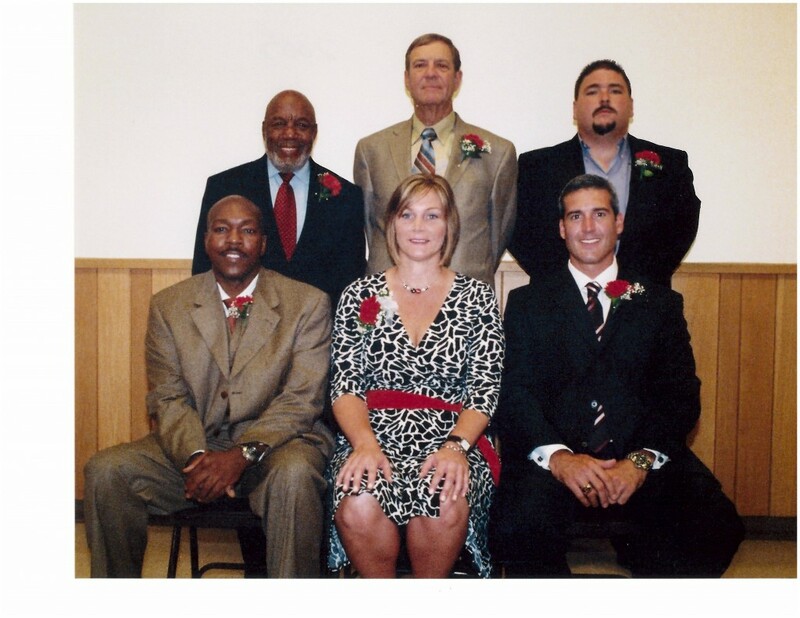 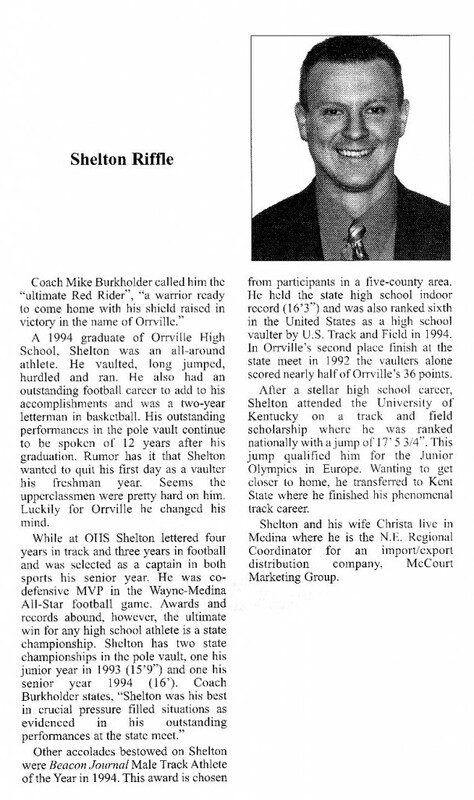 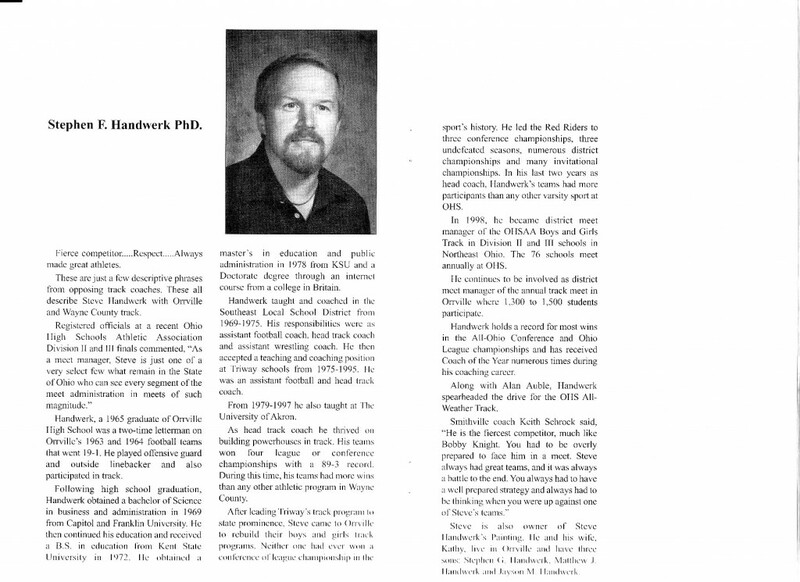 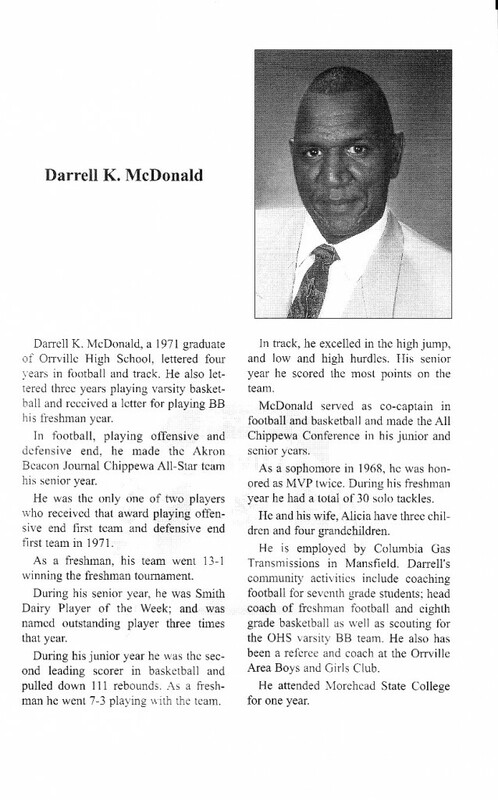 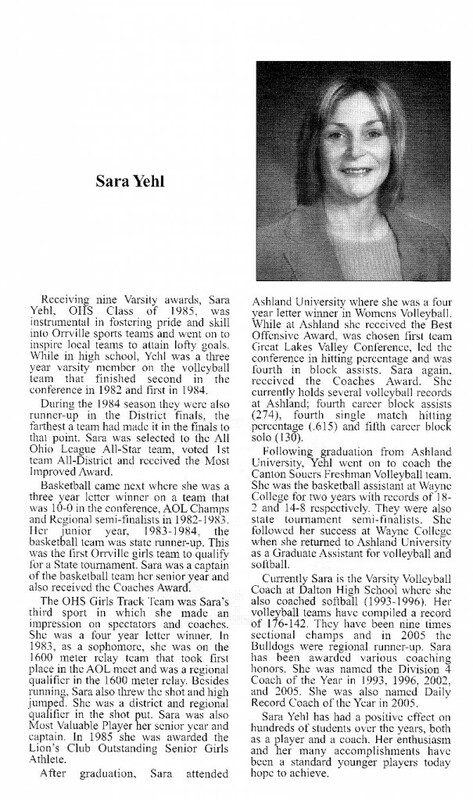 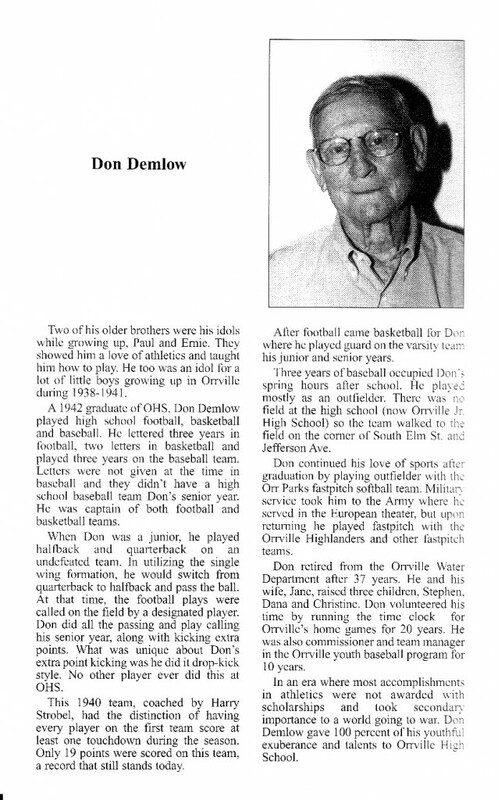 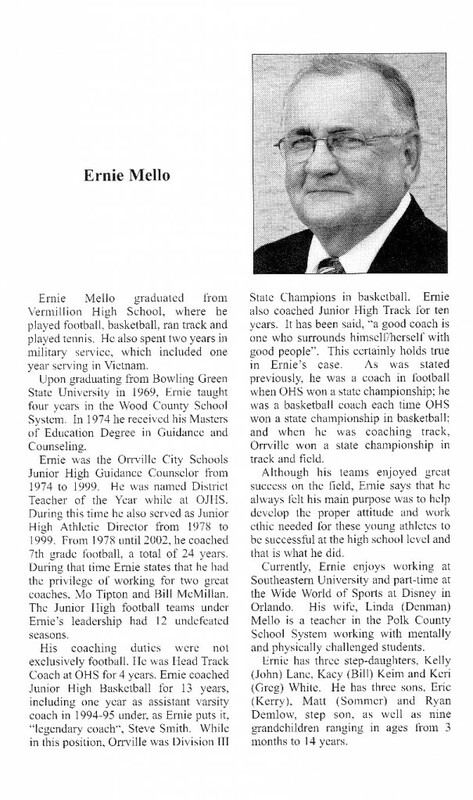 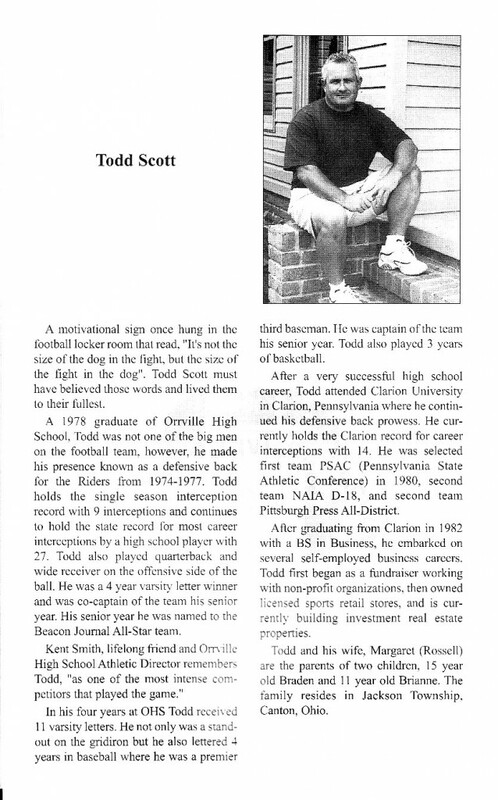 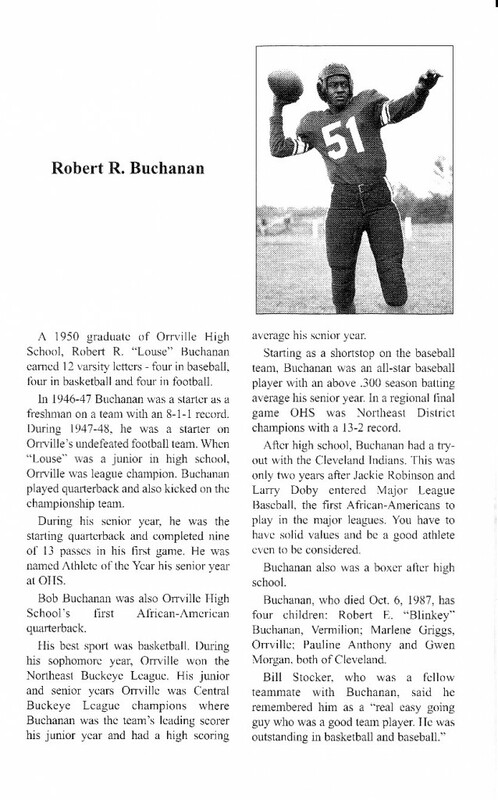 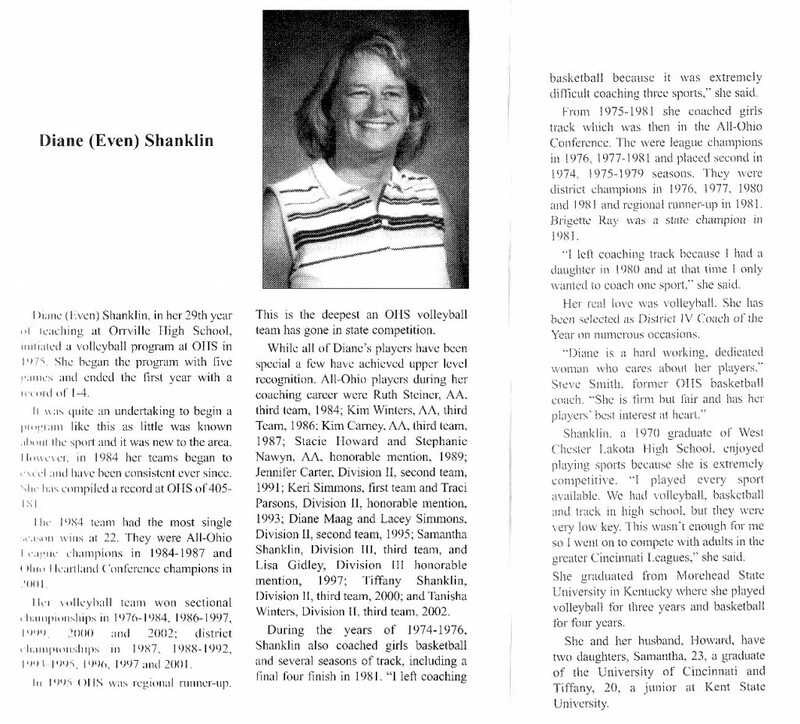 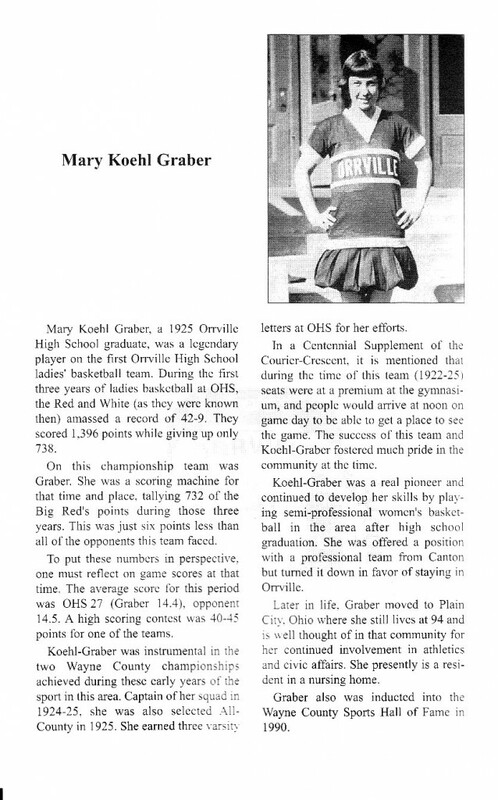 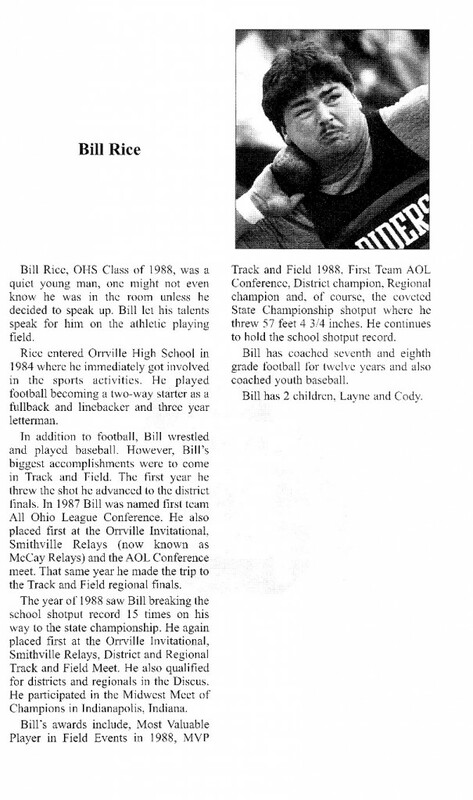 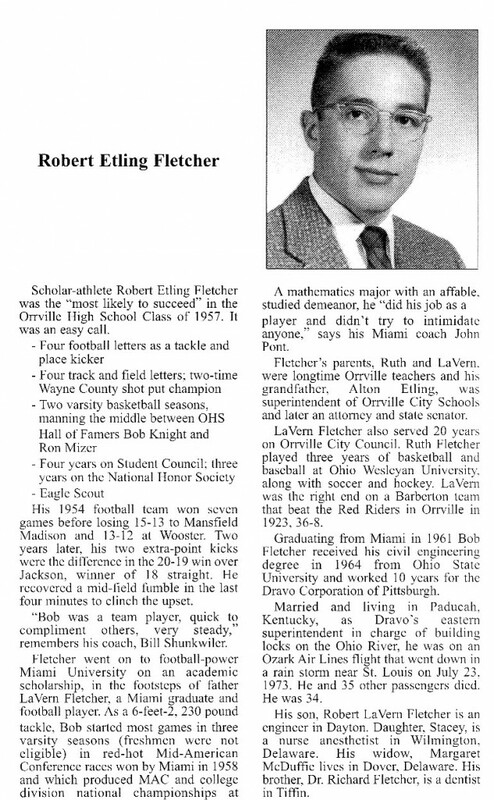 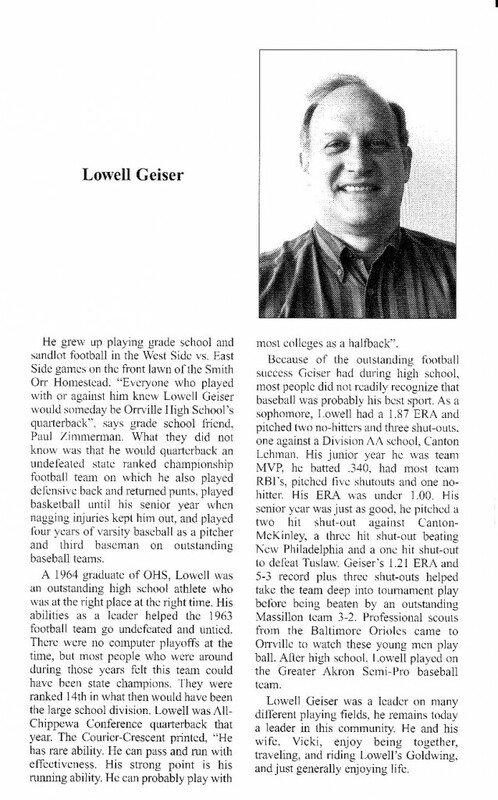 See below for a list of Orrville High School Sports Hall of Fame inductees from 2001 through 2009. 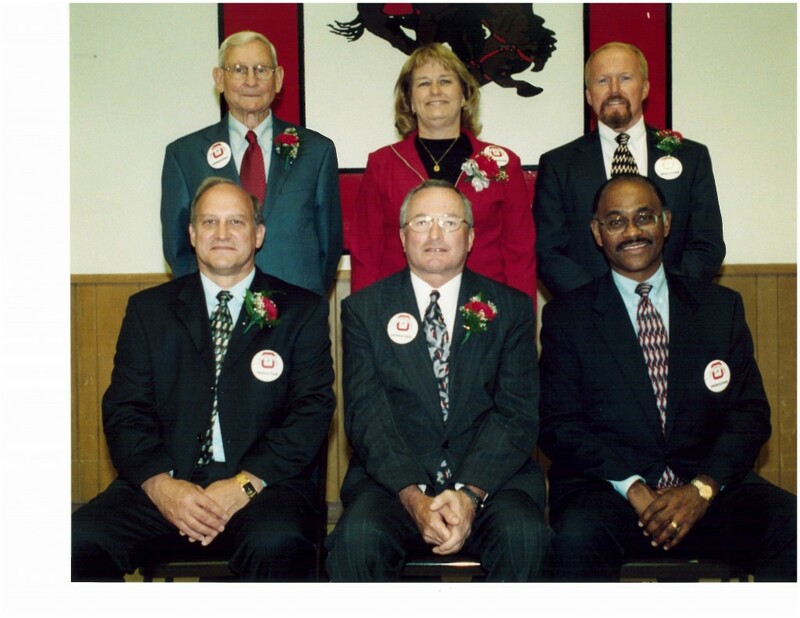 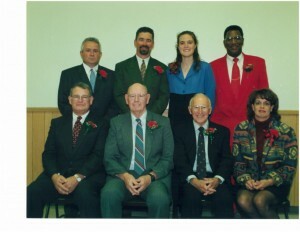 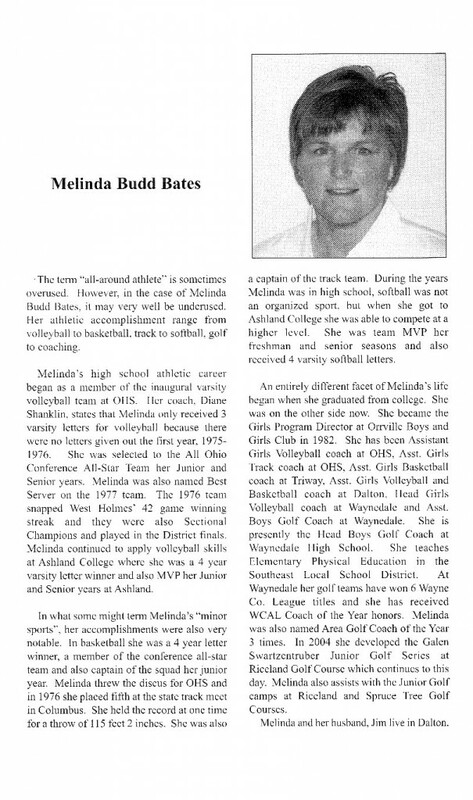 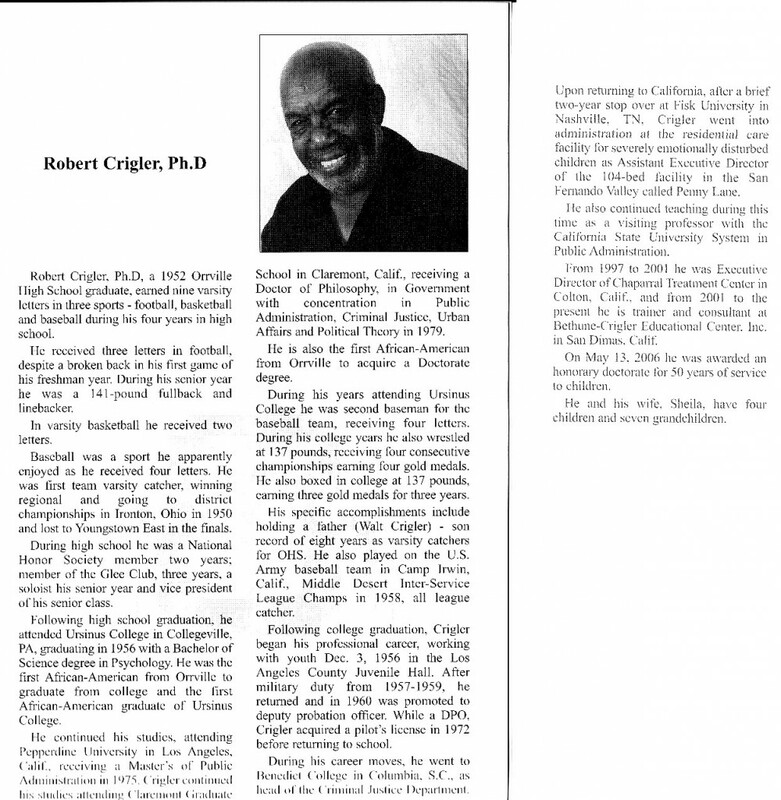 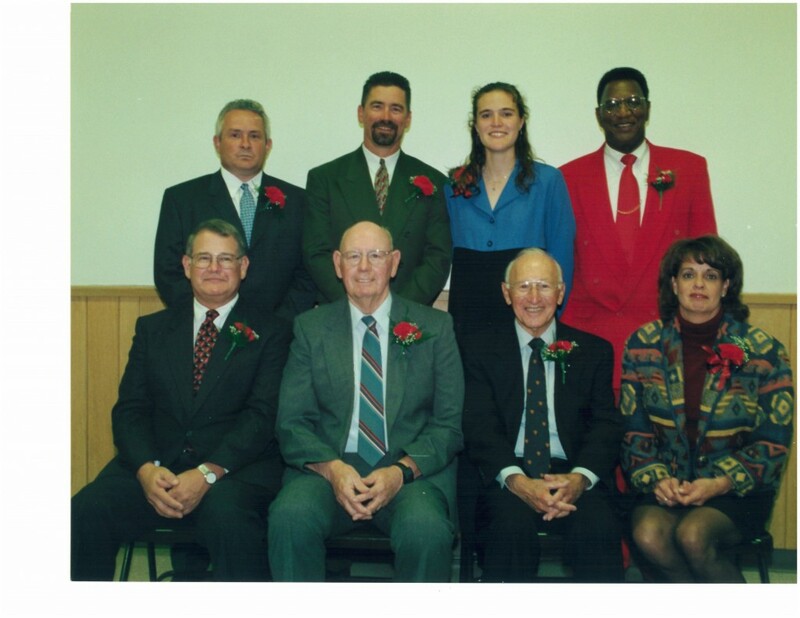 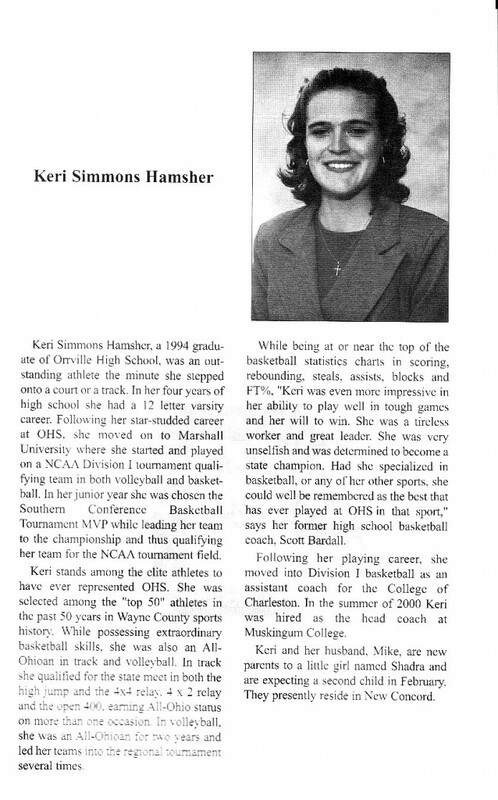 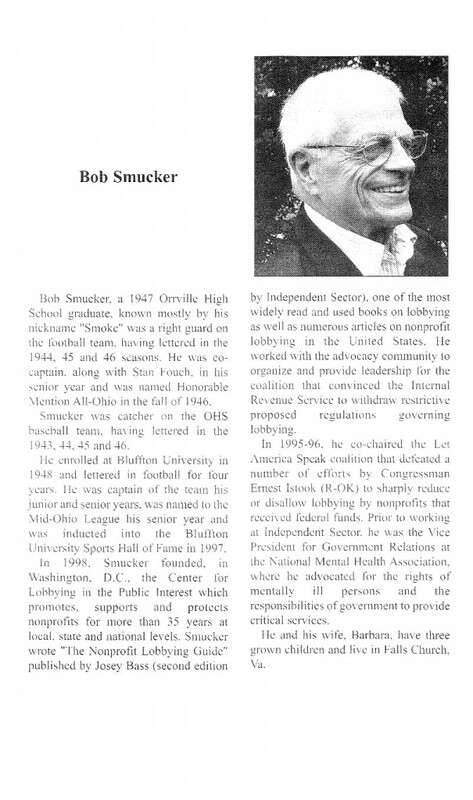 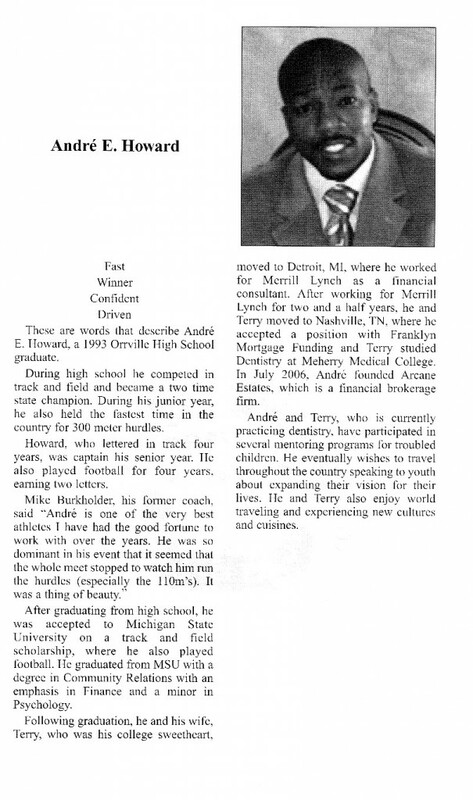 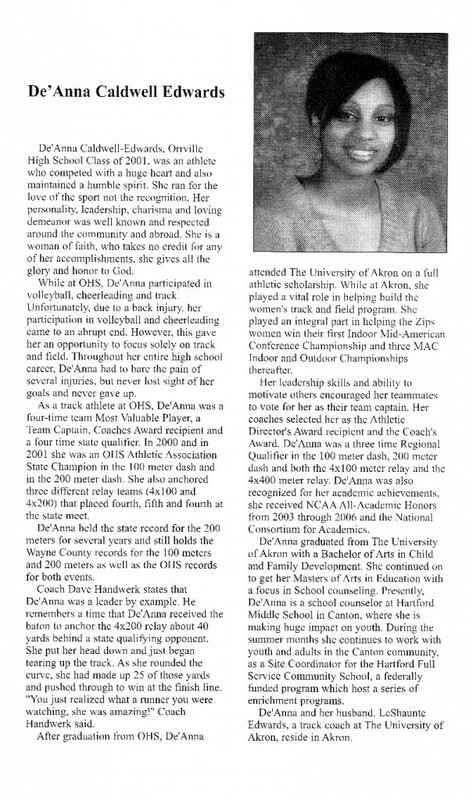 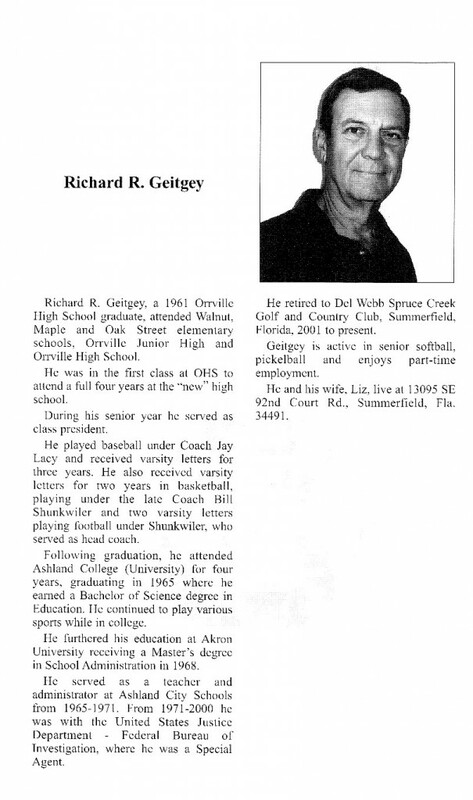 Click on each inductee’s name for their bio from the induction program. 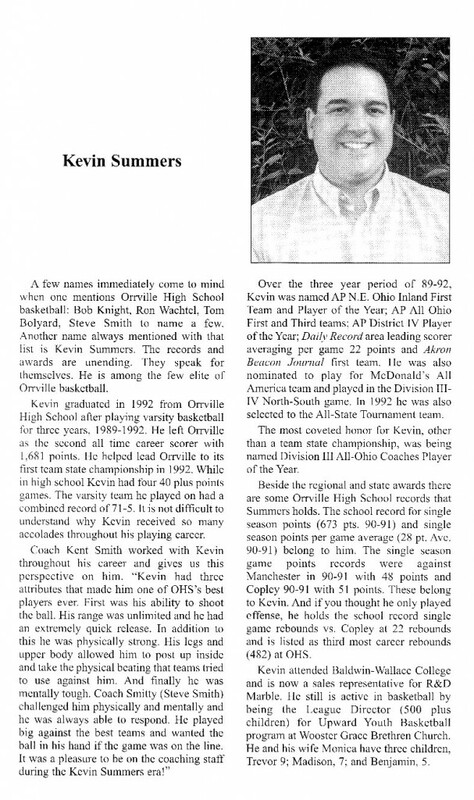 A (*) next to an inductee’s name indicates they are deceased. 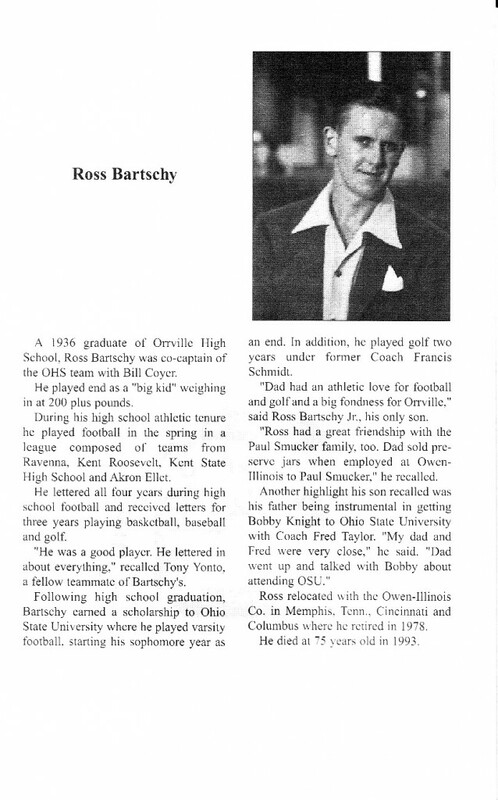 *Ross Bartschy – Class of 1936 (Accepted by Christy Finelli Bartchsy – Presented by Ross Bartschy Jr.